Pure Jasmine Absolute blended in our natural lotion base. 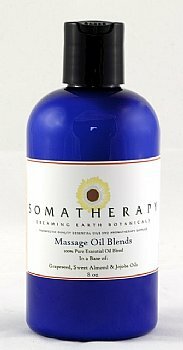 Use this delectable lotion for a soothing, fragrant massage and to nourish and soften dry skin. This lotion is gentle, relaxing, and smells divine. The four and eight ounce sizes come in a cobalt blue bottle and larger sizes come in refill containers with flip top. Review: This smells so wonderful I almost want to drink it! LOVE.